The property market in Monaco has been more lively lately after a very sluggish interval overall ever since the Economic problems of late 2007/2008. The problems with the worldwide economy infiltrated to the Monaco property market leading to a number of years of low interest by potential buyers due to the international uncertainties all of us faced. Monaco property owners overall pulled back from selling their properties as conditions were not the best and as a lot of Monaco property holders are not speculators, rather longer term investors keen to protect their wealth, they did not need to offer to cover financial loans as the majority of Monaco buildings are completely paid for at the time of purchase. An additional factor generating more activity, in addition to the global economic conditions and therefore self-confidence to invest once again in Monaco property, is that new residents to Monaco are discovering it increasingly hard to find ideal rental apartments as there’s more demand than supply, combined with extremely high rents due to the present lack of rental apartments. New citizens are increasingly thinking about acquiring their property in Monaco, and as selected banks in Monaco want to lend customers to buy Monaco property, with Euro interest rates at all-time lows, it is a financially viable alternative for those with sufficient collateral to place with the lending bank. Loans are usually made at 60– 70 percent loan to value, in some cases more if the customer has sufficient assets to lodge with the bank in the form of money or a portfolio of valuable securities (worldwide bonds/ equities/investment funds.) If in cash, the collateral placed with the bank may be very carefully invested to create an annual profit which matches or exceeds the rate of interest charged on the loan, so this can be an additional benefit. Loans on Monaco property are typically designed for a duration of 5 years, sustainable for a maximum of three times (15 years). The prices of buildings to buy in Monaco varies greatly, with the lower costs per square metre beginning at approximately EUR 25,000 to the highest which can exceed EUR 90,000 per square metre. WWW Relocation Monaco will help you with every phase of the relocation process to Monaco: from your first enquiry, through facilitating with the official documentation and organising the practicalities of the move – and lastly giving you a warm welcome to Monaco itself when you arrive to take up your residency. You will see more info . in regard to homes for sale in monaco on their site which is always regularly upated with the most current Monaco news and events. With property options such as deluxe seaside houses, penthouses around Casino Square and small studio apartments in Jardin Exotique, choosing the right property when moving in Monaco can be difficult. To assist you in finding the house or studio that best meets your needs, lets looks at the buying essentials, and also discover the various kinds of property in Monaco. Even though background checks are expected for any individual focused on getting a home there, Monaco doesn’t put any limitations on foreign purchasers. Many people prefer to pay in cash, however it is possible to take out a mortgage which covers up to 70 % of the purchase price. Monaco does not collect property taxes on residential real estate. Some of the home for sale in Monaco is quite expensive and bargains tend to be few and far between, though prices have dropped slightly in recent years due to the global economic downturn. Depending on the location and size of the home, as well as what type of building it is, prices can vary drastically. In the last two to three years, purchase prices and monthly rental fees have declined on average by 25 to 35 percent. In Monaco, prices are quoted by square metre. The cost per square metre ranges from the current average of 25,000 up to 50,000 and above. 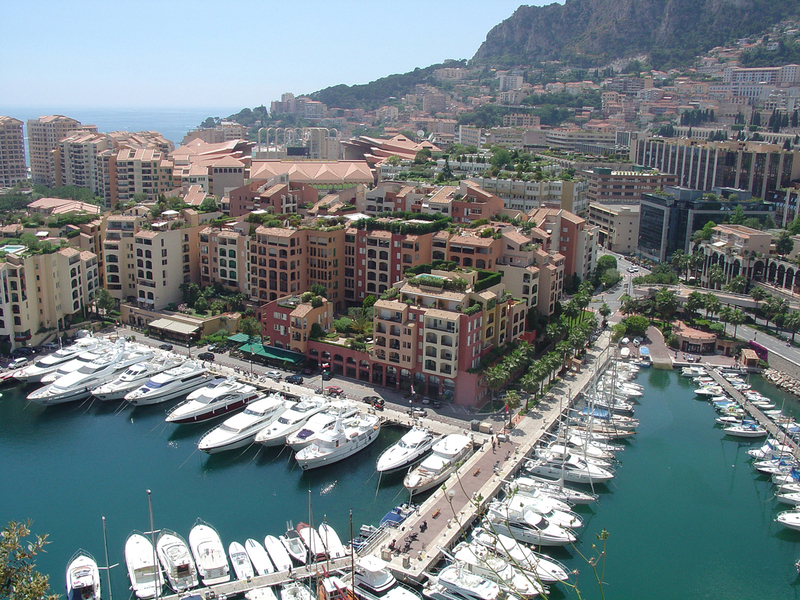 The majority of the properties available in Monaco are apartments, though they vary drastically. They include small studios ideal for one or two people to huge luxury triplexes and penthouses with four or more bedrooms that can easily accommodate large families. Almost all apartments include excellent amenities, such as pools, gyms, saunas, and 24 hour security – as well as stunning views. In addition, most apartments currently available, both for sale and rent, have been recently updated with fully equipped kitchens and open floor plans. The majority of the complexes offer parking facilities adjacent to, or underneath, the apartment buildings. They can either be purchased privately or rented on a monthly basis. Monaco doesn’t collect residence taxes on home real estate. Some of the residence for sale in Monaco is quite expensive and bargains are generally few and far between, though costs have dropped a bit recently due to the global downturn in the economy. In Monaco, hire must be paid for in advance on a quarterly basis. When first booking an apartment, an additional three months rent payments ought to be paid in advance, and also a refundable security deposit. In most situations, rents are renewable on an annual basis. Based on the position and size of the home, as well as which kind of building it is, costs may differ drastically. In the last two to three years, purchase prices and monthly leasing fees have declined on average by 25 to 35 percent. In Monaco, prices are quoted by sq . metre. The price per square metre ranges from the current average of 25,000 up to 50,000 and above. There’s a restricted number of private houses for sale or rent in Monaco. Those that are presently obtainable are typically rather expensive, however they’re the perfect example of luxury with gorgeous kitchens, hardwood flooring, walk in wardrobes, and remarkable panoramic views of the town and the sea. Many flats and properties possess terraces on which you can enjoy an evening with family and friends. Even though Monaco is less than 2 sq kilometres in size there are numerous of properties for sale and rent accessible. In fact, the most challenging element of your search will likely be figuring out which one you should make your new home.